Diabetes — Keeps the body from using glucose, a form of sugar, as properly intended. If glucose stays in the blood instead of breaking down, it can act like a poison. High glucose levels force the kidneys to filter excessive amounts of blood, which damages the kidneys and causes them to leak. Eventually in this process, the kidneys lose their ability to filter. High Blood Pressure — High blood pressure is known as the silent killer because it can damage the small blood vessels in the kidneys without you knowing it. When the vessels in the kidneys are damaged, they may stop removing waste and extra fluid from the body. Glomerular Diseases — Kidney diseases grouped under this category include auto-immune diseases, infection related diseases, and sclerotic diseases. Congenital and Inherited Kidney Diseases — Polycystic Kidney Disease (PKD) is a genetic disorder in which cysts grow in the kidneys. 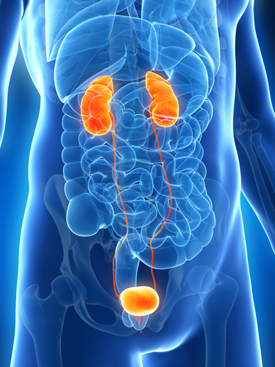 PKD cysts slowly replace much of the mass of the kidneys, reducing kidney function and leading to kidney failure. Other Causes of Kidney Disease — Poison and trauma, such as a direct blow to the kidneys that can lead to kidney failure.